Hills: 5,300 feet. Not a lot for these parts. Route: Designed for maximum flatness. Out and back. 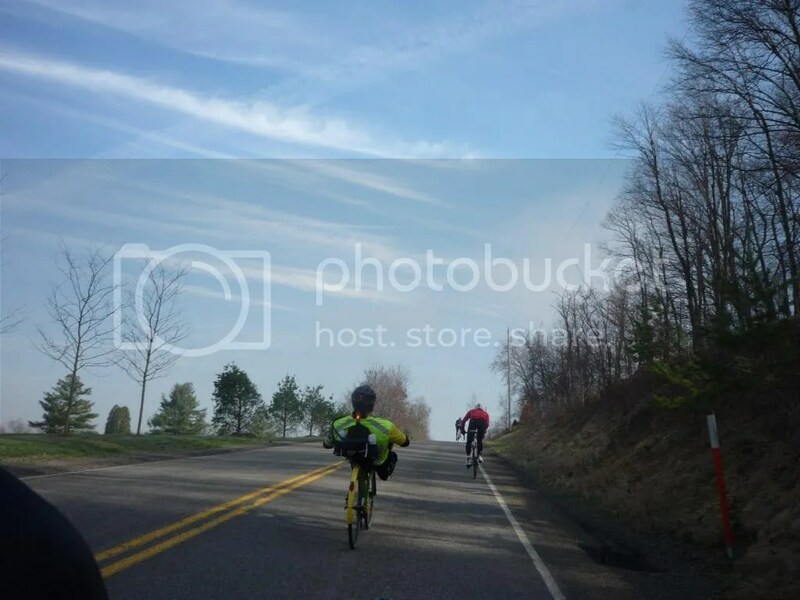 Sticks to the Ohio river valley for about 70 miles of the total. Rolling hills mostly for the overland jaunt into Ohio (the state), with a turnaround in New Middletown OH. Weather: Very foggy and cold for the first 30 miles. But it got sunny and warmed up nicely by noon. Short sleeves and sunburn after that. Company: 10 starters. 9 finishers. A few new faces, a few familar ones. Got to ride with Dan Chew for the first time. His reputation precedes him, and is pretty much spot on. What a nice guy, he is. Trouble: Dan B.’s bike had an irrecoverable mechanical in Petersburg OH. Had to call in a rescue. Bummer. 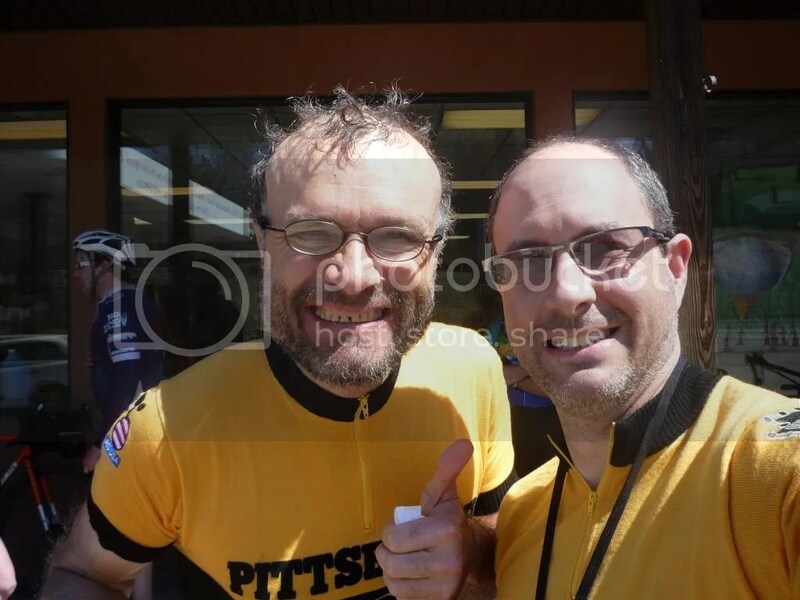 Pics: D. Chew wanted a picture with me because we were wearing matching Pgh Randos jerseys. It was my first ride with the Chew-man, so apparently I now have my one and only red pen entry into his journal. And, quite strangely, we each choose the same toothy smile for the picture, without pre-coordination. Still soggy from the morning fog… At the first controle at Al’s Corner in Koppel. Al’s is located on Big Beaver Boulevard. Not joking. And the fog has lifted…. 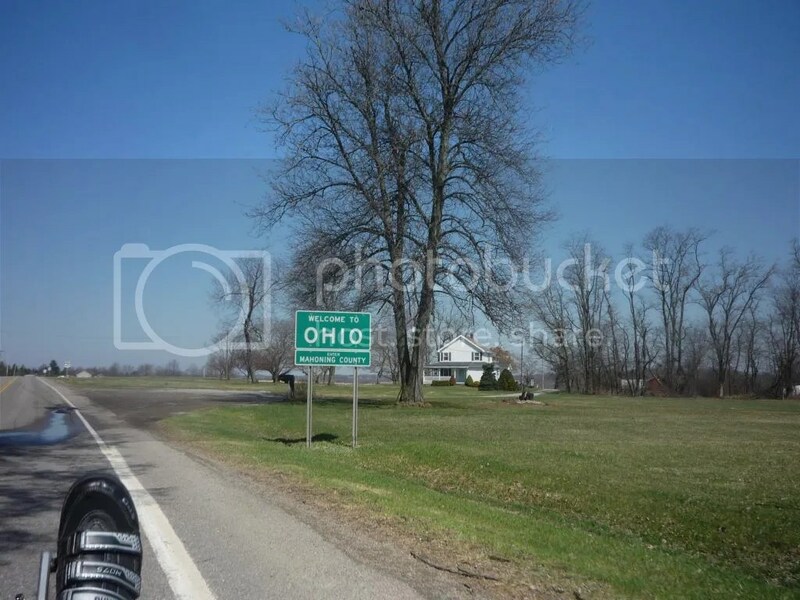 Welcome to Ohio… Now let’s get the hell out of here.